Sporty alpine summers: mountain hut hikes, bike tours, rock climbing, downhill adventures, cool lakes, summit victories and numerous unforgettable experiences in the beautiful mountains – only Innsbruck and its holiday villages offer such a diverse range of summer experiences. One day of hiking is not enough? Then we recommend you try one of our multi-day mountain tours through our region - the best way to get to know the diversity of the Alps in all their glory. Four trails, two modern lifts, traditional Tyrolean alpine huts and a biking centre. 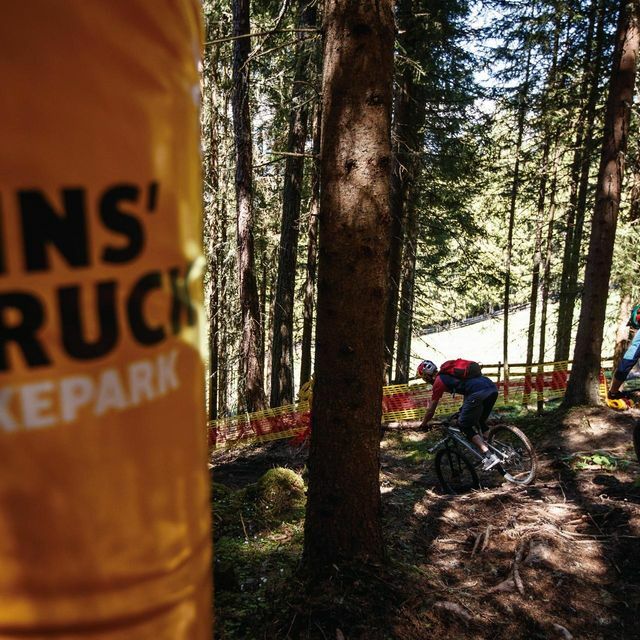 The BikePark at Muttereralm is the new biking hotspot in the northern Alps. Get to know Innsbruck your way. Sightseeing classics and insider tips off the beaten track: our tours have it all. So you can explore Innsbruck independently and on your own schedule. You don't always have to go to a restaurant. Why not just have a relaxing picnic in the park or by the River Inn instead? If you are stopping for lunch during a sightseeing tour or looking for a place to enjoy a short break and a snack, we recommend the park benches dotted throughout the city parks, for example in the Imperial Gardens. Or find a nice spot along the Inn with calming views of the river's green waters. Please note: Alcoholic beverages are not permitted everywhere in Innsbruck. Information about the areas where alcohol consumption is prohibited is available on the city administration website.